No matter how many times a Bermudian may see a Queen Angelfish while swimming or snorkeling or diving, the excitement upon spotting one never ceases. “Look, an angelfish!” one might say, pointing to the vibrantly-colored creature, alerting those around to stop and look too. Why are we so fascinated by the Queen Angelfish? Perhaps she is symbolic of the divine beauty of our underwater world and our gratitude that some of the most beautiful coral reef constellations in the world are in our back yard. 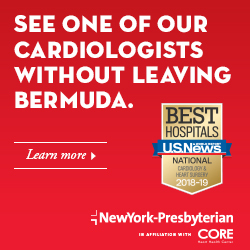 Whatever the reason, Bermudians love angelfish and that will never change. Here are 7 facts about the Queen Angelfish you probably don’t already know but should find fascinating. 1. 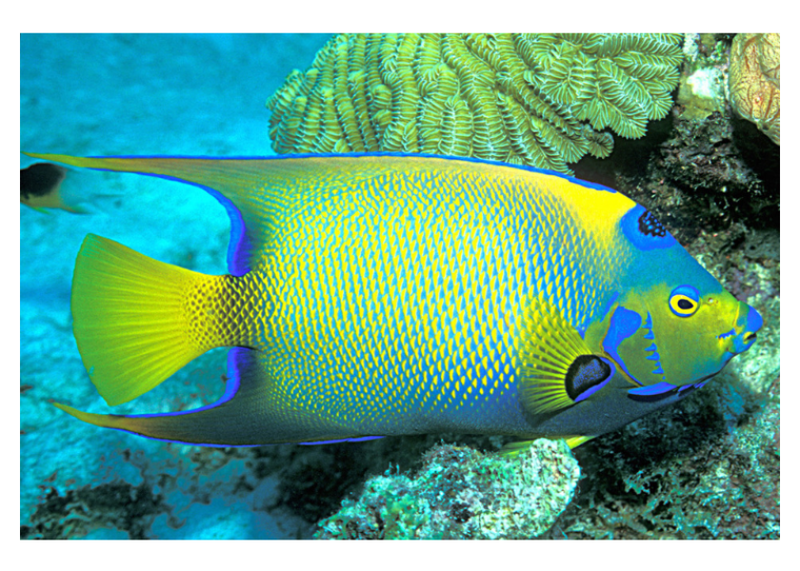 The adult queen angelfish’s overall body color can be described as blue to blue-green with yellow rims on its scales and fins. Juveniles have dark blue bodies with yellow lips, gills, and tail and vertical bars ranging in color from light blue to white. The colors of the juvenile fish help them to blend in with the reefs. 2. The queen angelfish may live up to 15 years in the wild and reach up to 45 centimeters (17 inches) in length. Queen angelfish are about three and a half pounds. 3. The queen angelfish feeds primarily on sponges, but also feeds on tunicates (a snail-like invertebrate), jellyfish, and corals as well as plankton and algae. Juveniles serve as “cleaners” and feed on the parasites of larger fish at cleaning stations. 4. Queen angelfish inhabit reefs and are common to Bermuda, Florida, especially the Florida Keys, and also the Bahamas and the Gulf of Mexico. 5. The adults are found in pairs year round, suggesting long-term monogamous bonds. When mating, the female can release anywhere from 25 to 75 thousand eggs each evening and as many as ten million eggs during each spawning cycle. The eggs are transparent and buoyant. Eggs hatch after 15 to 20 hours but at that time, the larvae lack eyes, fins, or even a gut. The large yolk sac is absorbed after 48 hours, during which time the larvae develop normal characteristics of free swimming fish. 6. They are a moderately aggressive species and may harass other fish, which is why they don’t often fair well in private aquariums. 7. In the wild, An adult queen angelfish can produce a loud thumping sound that warns predators and also startles divers.